The African premiere of Emmanuel Itier’s multiple award winning movie THE INVOCATION narrated by the famous Hollywood actress Sharon Stone will be at the 2nd Eko International Film Festival (EKOIFF) on Saturday July 9, 2011, at the prestigious Silverbird Galleria, 133 Ahmadu Bello Way, Victoria Island, Lagos. 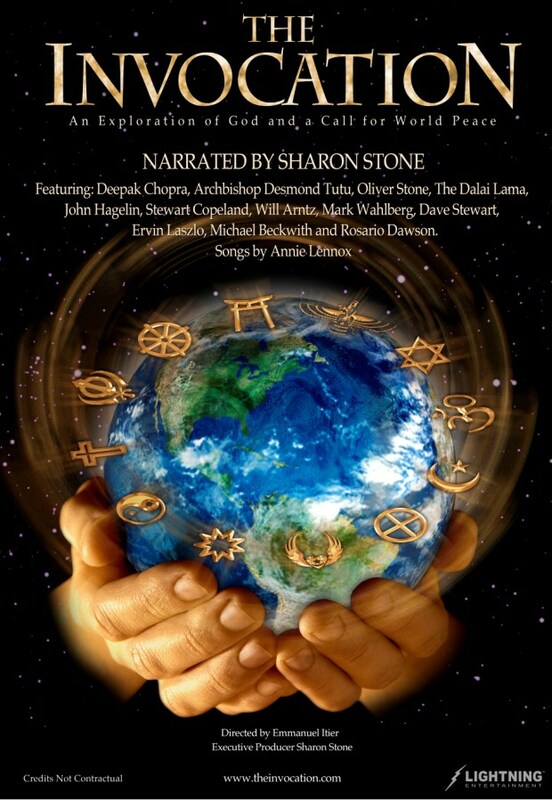 THE INVOCATION is a thought provoking film about God and World Peace. An exploration of the notion of the Divine around the world and through Religion, Spirituality, Science, History, Politics and Arts. It is an invitation to elevate our school of thought and to change the code of human interaction in relation to our perceptions of God. The film proposes answers to universal questions in both a religious and non-religious context: Who am I, where do I come from, and where am I going? Is there something beyond the here and now? What is the global idea of ‘God’ which has presented us with countless conflicts throughout human history? How can we live in Peace? For Reservations and Tickets, call 08033036171, 07066379246.